The place is Jeddah, Saudi Arabia, depicted by celebrated crime writer Zoe Ferraris with sympathy and realism, and in all its complexity: through its text messages and mobiles, SUVs and shopping malls, its exorcist surgeries and women-only banks, plus the “forced meditation” of compulsory prayer. And the harsh worlds inhabited by immigrant workers. 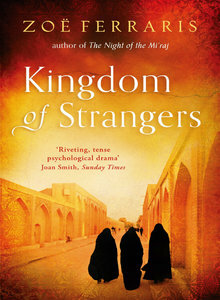 Migrant workers, female and male, constitute perhaps a third of the Saudi population, and they give this novel – Kingdom of Strangers – its title. 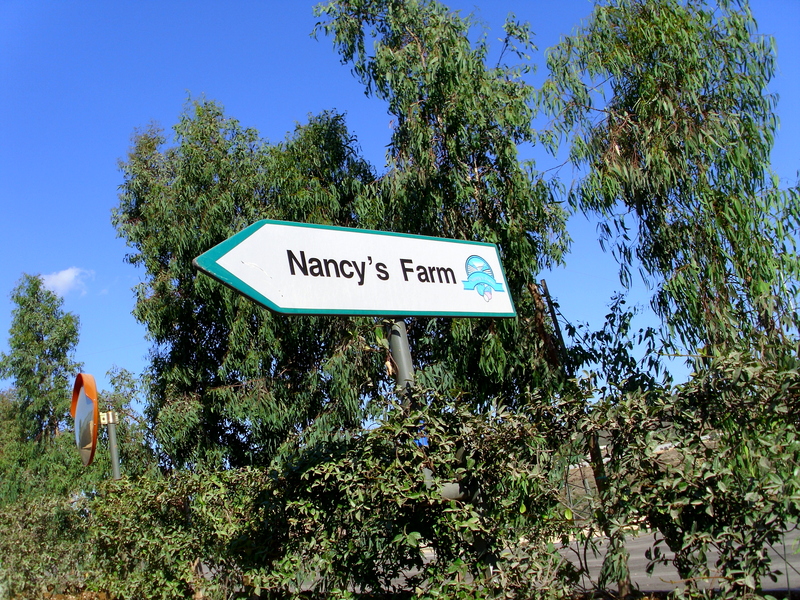 To start with, nineteen bodies are found in the desert. The carefully mutilated victims are immigrant women, Asians, and their corpes are arranged to convey a hidden message. Enter Chief Inspector Ibrahim Zahrani, whose repertoire includes policeman’s intuition and Beduin trackers as well as forensic analysts and an American expert on serial killers. Ibrahim is a liberal in his context, a rationalist, but he’s not squeamish, in his moments of pain, about applying violence to the deserving. His quiet suffering and basic decency would make him a figure of genuine tragedy if the plot didn’t rather unconvincingly spirit him out of danger at the close. I’ve just come back from the Hay Literature Festival in Beirut. Literature Across Frontiers asked me to write three posts on the experience. Here’s the third. At this year’s Karachi Lit Fest, Hanif Qureishi asserted that the purpose of such festivals was “to give writers a social life.” I concur wholeheartedly, but still I admit I was a little scared to go to Beirut and socialise there. This is because several Syrians had advised me to avoid speaking about the revolution while in the city, and to watch my back in areas controlled by Syrian regime allies. “They know who you are,” they muttered darkly. But I was fine. At no point did I feel under any threat. I presume the warnings tell us more about the fear so successfully planted in Syrian hearts than they do about the capacity of the flailing regime to hunt down obscure writers. True, one Syrian slit another Syrian’s throat outside the Yunes Cafe just a couple of minutes’ walk from my hotel one night. Reports varied as to whether the killing was personally or politically motivated. 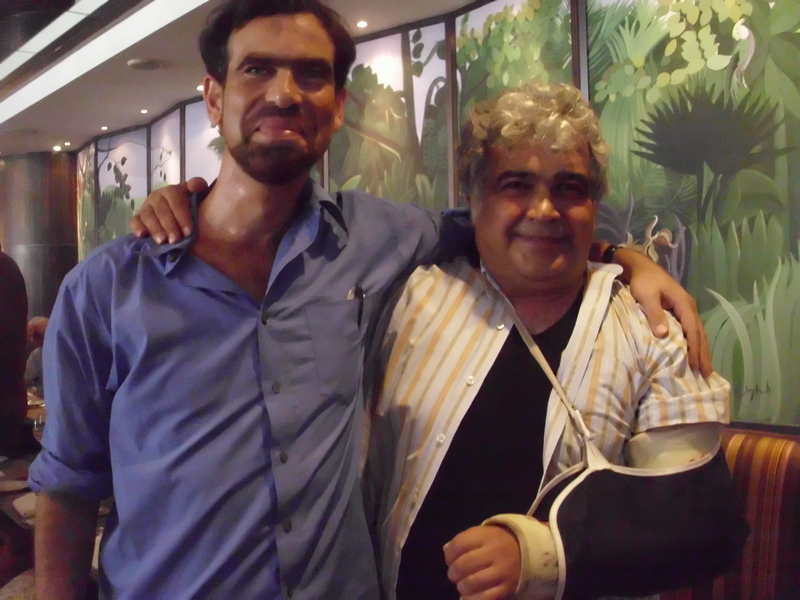 And true, writer Khaled Khalifa’s arm was still in a sling after being broken by regime goons during the funeral of murdered musician Rabee Ghazzy back in May. Khaled, whose most famous novel ‘In Praise of Hatred’ is about to be published in English by Doubleday (I’m writing the introduction), is a warm and gentle man who smiles irrepressibly despite it all. He spoke fearlessly during his event at the Hay Festival. He’ll be back in Syria now. In Beirut I asked him why he didn’t stay outside, in safety. He said he can’t, he becomes scared for his friends and family when he’s outside. I spent one inspiring evening with a group of Syrian revolutionaries, supporters of the Free Syrian Army who confound the stereotypes propounded by the regime and picked up on by certain infantile leftists. Far from being Salafists and tools of imperialism, these were secular men and women (one of Christian background) sharing a flat and ideas, drinking whiskey and mate, reflecting on the surging movement of the recent past and checking internet updates on the immediate present. They were well-informed, intelligent, and nuanced in their thinking (at one point we discussed the nature of evil and the complex question of individual culpability). They had seen nasty things, yet talking to them made me surprisingly buoyant. They believed they were winning their fight. I’ve just come back from the Hay Literature Festival in Beirut. Literature Across Frontiers asked me to write three posts on the experience. Here’s the second. When a Scottish-based writer, an escapee from the perma-gloom, visits Beirut for a mere four days, he must prioritise his activities very carefully. As previously stated, I aimed first of all to immerse myself in the sea. A small group of us hailed a cab to take us southwards down the coast to Jiyeh, where a beach had been recommended. 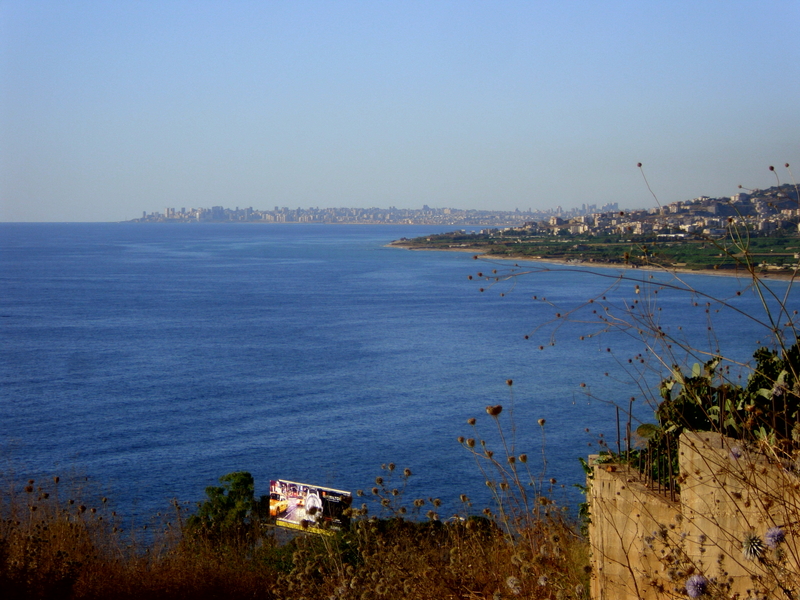 Jiyeh wasn’t very far – we could still see Beirut jutting into the sea behind us – but it was still a good third of the way to the South and the troublesome border with Israel-Palestine. 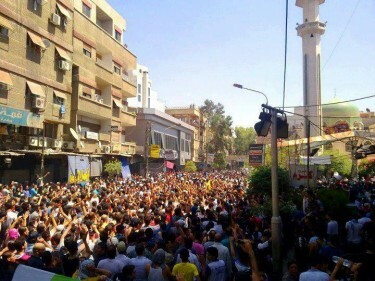 Lebanon is a small, closely-packed country chopped again into still-smaller zones. Our driver (he was called Abdullah) inched us through the snarled traffic of central Beirut and past Tariq Jdaideh, a Sunni area loyal to the Hariri family, whose posters were prominent. Then along the edge of the Shi‘i southern suburb which was hit so brutally by Israel’s assault in 2006. Here Hizbullah controls one side of the road, with its pictures of Nasrallah and the late Ayatullah Fadlullah; the Amal movement rules over the other, shabbier side, where the pictures feature Nabih Berri, speaker of the Lebanese parliament. As the building density eased, banana plantations alternated with churches and seaside resorts. We sped up past Khalde, which had housed an illegal Druze port during the civil war fragmentation, and then Ouzai, which had housed an illegal Amal movement port. Inland, the Shouf mountains rose, the Druze heartland where the Junblatt family predominates. In this country, it seemed, everyone fitted into their specific box.